Chrome beta for Linux is supporting HiDPI scaling now, but Brackets, which is based on Chromium, does not yet. If you don't want to wait, you can use Brandon Bertelsen's extension ui-too-small, available in Bracket's extension registry. 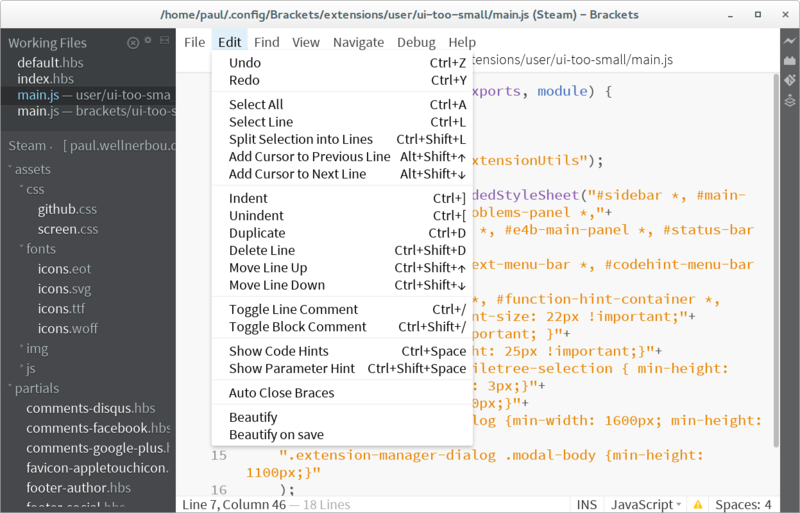 This extension does not affect the editor font, as this can be changed by the user going to View -> Themes. Feel free to extend the CSS for more elements or plugin windows I missed. You can find the source on github.